There’s a reason Stephen King is called the Master of Macabre. 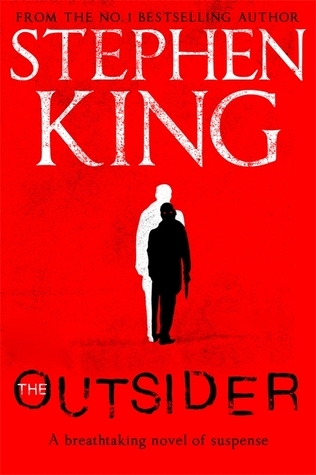 THE OUTSIDER threw me off a little at the beginning, though. I’m used to his dark, hard-hitting horror. As of late, Stephen King is going towards a more mystery/thriller approach to storytelling. This one could even be considered police procedural. It is definitely horror, though. I love the way the story is told. Stephen King breaks the story down with some interviews and interrogations. His writing style has changed, too. 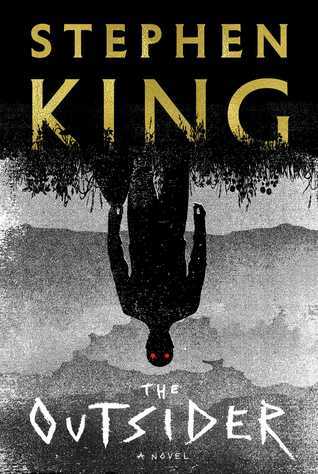 I think his boys and Richard Chizmar have enhanced King’s style and prose. Stephen King brings all the horror goods! The tension stays tight throughout to the epic end. Stephen King informs the reader about the characters from the Mr. Mercedes trilogy. I teared up a little reading that part. There is a character from the trilogy that makes an appearance, too. What I liked most about this story is not being able to see where Stephen King is taking you. There are jump scares, revelations, and disturbing scenes along the way. What happens when you have a suspect in custody and all the evidence points to him, but he has an ironclad alibi? The police are stunned. They are off to the races to try and find out what’s going on and how the suspect could be in two different places at the same time. Stephen King has created a monster that gives Pennywise a run for ITs money. (See what I did there?) Just when you think the tension couldn’t get any tighter, it does. The tension and suspense are off the charts. The storyline doesn’t lag at all, which is rare for a Stephen King book. Usually, there are slow parts in his books. What’s more, this horror novel runs through several genres. The monster Stephen King created has been sitting with me ever since I finished the book. I don’t scare easily, but damn, this one gave me a night terror. Stephen King even gives the history of this monster, which makes it even more terrifying. Terry Maitland seems like a nice guy, but is he wearing another face? You will have to read it to find out! Read it with the light on, or if you want to live dangerously, read it in the dark with a book light. I completely devoured this book in one day. Man, what a rush! Stephen King publication days should be national holidays.